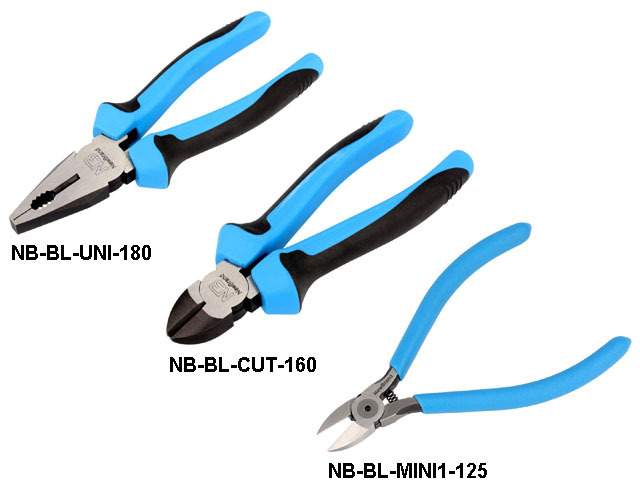 TME has introduced into its offer, pliers of the Blue Line series by NEWBRAND. The offer includes both precision cutting pliers for electronics as well as the family of standard pliers, such as universal, semi-circular, for side cutting. The pliers are made of CrV60 steel while the handle is equipped with non-slip plastic sheath, improving the comfort of work.